Much like the first conception of life on planet earth, debates rage on about the creation and development of Seattle band Mind Vice. What follows is both speculation and hearsay and cannot be verified in any scientific sense: Walter O'Toole and Ian Sides, legends of the Orcas Island blues-metal scene, left the Island sometime between 2007 and 2012. Ian "Wet Fingers" Sides, looking for a new outlet for his pioneering bass guitar sound, arrived in Seattle, the birthplace of Grunge. Walter's road was a more arduous one, taking him south to Texas where he explored his roots on blues harmonica. Ultimately, as if drawn by an undeniable magnetic force, he made the journey back to the Pacific Northwest. Longview native Michael Knapp after years of study under the the spiritual tutelage of Jimi Hendrix and Led Zeppelin IV, had developed an uncontrollable and superhuman riff writing ability that required an outlet. He too packed up and headed to Seattle. A convergence of only cosmic proportions led these three to native Seattle drummer Miles Hubbard who cut his chops in various local garage bands. Songs developed quickly and effortlessly when the four got into a room together. Utilizing ancient recording techniques along with the expertise of local legend Conrad Uno, the group released their first EP in November of 2012. 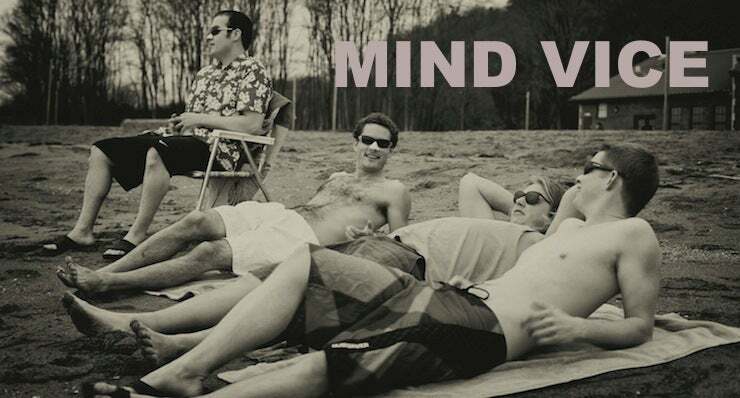 Look for Mind Vice in a local dive bar near you.